It is interesting to know how a fashion design idea is transferred into a real fashion garment. Students will get to know the commercial practices and experience the whole process in realizing the design idea. They will learn about production drawing, development of specifications, pattern drafting, sewing and final presentation. 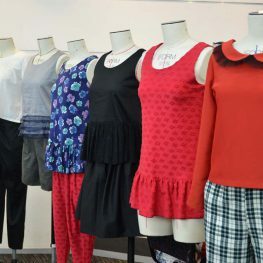 Each student will make a set of fashion garments based on a given design.